Considering America is the home of the biggest everything, I was surprised to see this site when scouring my fav UK sites. But I have a feeling it will catch on here. 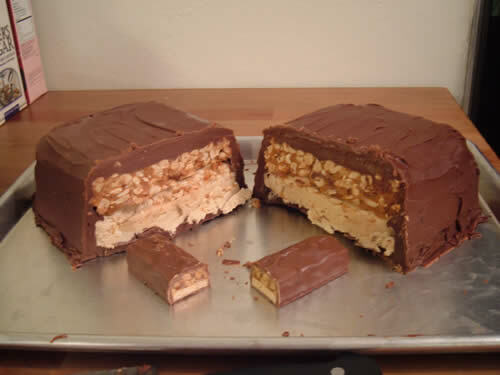 Pimp That Snack is a site devoted to making ENORMOUS versions of your average candy bar, cookie and snack. A Twix the size of your arm. A fried egg that could double as a frisbee. 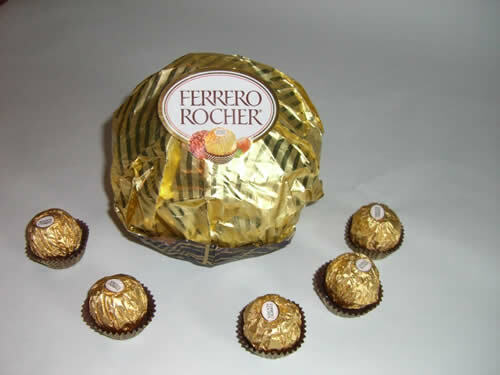 A Rolo as big as a hat! Great fun, if you have the time and patience to experiment. After feeling a little sick from just looking at the giant Snickers bar (see above...woah) I took a look at the rest of the site. There are some inventive folks out there. Each project comes with an ingredients list (some of them are English, so USA dwellers will have to improvise), a price for the completed project, and pictures of the whole process from start to finish. You can submit your own and try and beat the current reigning King of Pimped Snacks, THE CREME DE LA CREME EGG . If you get a stomach ache, you can't say you weren't warned. I've made a list of my favorites below, but I urge you to check the site out and find something that's right up your snack street. Maybe you can surprise someone on their birthday and let them unwrap a HUGE version of their fav candy bar. I think I'll have to get to work on my own version of my favorite snack. A bag or Lays Potato Chips the size of a mattress. But if you do attempt any of these, just remember...no snacks before dinner. They'll spoil your appetite. In this case, for about 3 days. Mmm... giant kit kat... slurp. 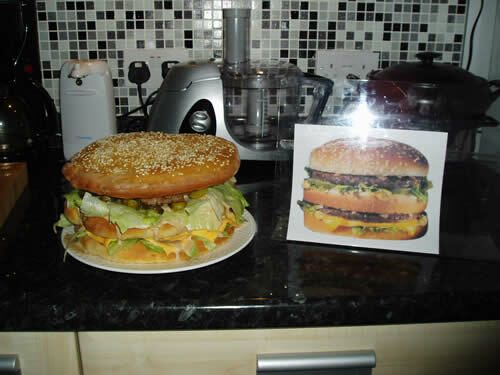 The burger is like a week's worth of calories no doubt. My teeth were hurting just looking at the creme egg! 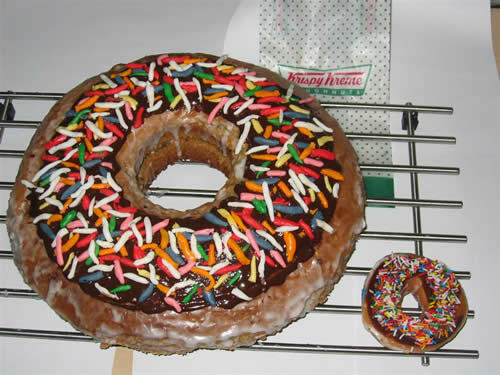 That could be a good treat to share for a Birthday party! 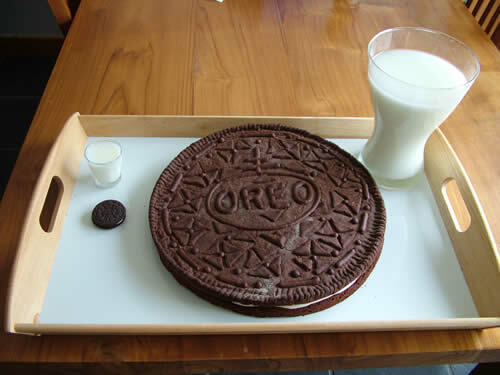 Have the guest of honor's favorite treat pimped out and make an outrageous party theme out of it. Crazy!